We all love our bikes but sometimes we just need that little extra space don't we? Thankfully that's no longer a problem with these stylish Deemount bike brackets. Giving you more room for storage and bike lights in particular any cyclists will be glad to have one of these handlebar extensions on their bike. 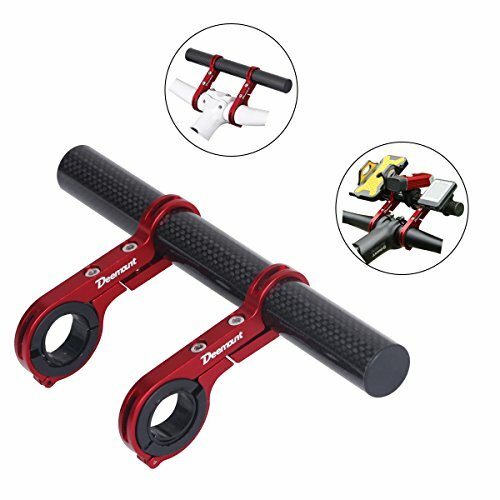 Available in a range of colors and easy and quick to install these strong bike brackets are a must have for today's modern cyclist. Available in a range of fantastic colors including: blue, red and black. Made from a light but strong aluminium&carbon fiber. Ideal for holding extra lights or providing more storage room. Will save you valuable room on your handle bars as well! If you have any problems, just let us know. We would do everything possible to help you. If you have any questions about this product by DEEMOUNT, contact us by completing and submitting the form below. If you are looking for a specif part number, please include it with your message.